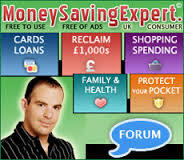 Some of you will be aware of the Money Saving Expert (MSE) website. If not, now is a good time to explore the site and see how you can save money. You will find several references to the MSE website on the Forum’s webpages. If you are keen to find out about the latest offers and discounts etc, as well as receive alerts about the latest scams, you can also sign up for the weekly newsletters, which have been highly recommended by various consumer groups. This entry was posted in Finance and tagged bills, discounts, Money, offers, pensions, savings, tax, wills on April 30, 2015 by admin.